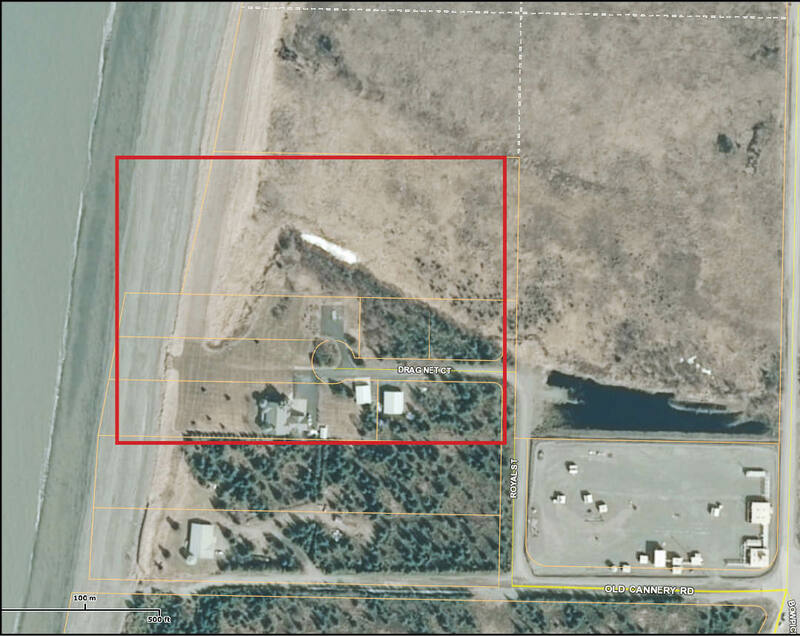 Imagery from Kenai Peninsula Borough parcel viewer. 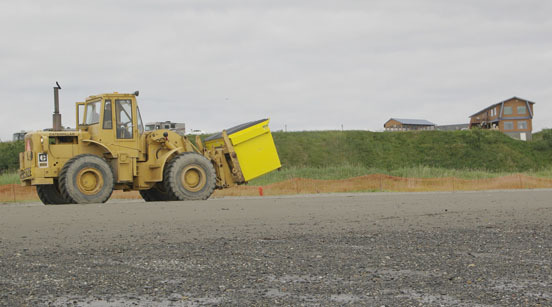 The city of Kenai will purchase the highlighted seven lots in order to build a new access road to the south beach of the Kenai River. 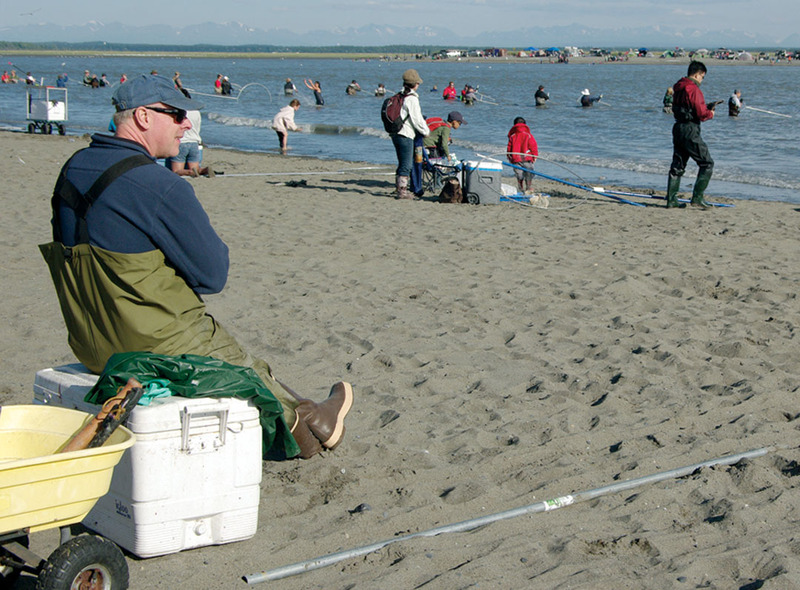 It was not their ideal solution, but members of the Kenai City Council did pass a solution at its Sept. 16 meeting to address the thorny problem of providing better access to the south beach of the mouth of the Kenai River during the July dip-net fishery. “We have to think outside the box a little bit. This is a little different than normal but I believe it can work, I believe it’s the right solution with the options that were given us and I don’t think we need to delay any further,” said Council Member Tim Navarre, who voted in favor of the city purchasing seven lots off Drag Net Court for the purpose of constructing a beach access road. The city only needs four of the lots for the road project, but negotiations with ARK Properties LLC resulted in only one deal — all seven or none. The lots include one with a mansion and various outbuildings with a borough assessed value listed at over $1.4 million. Not liking that option, the city investigated skirting those lots to put in a road, but that placed the path through sensitive wetlands, which was another nonstarter. So it was back to the purchase option. The city obtained a $1.9 million grant from the state for improved access and upgrade work for the dip-net fishery. The road project is covered under that pot of money, including the $1.6 million purchase price for the seven lots. But there are a few strings attached. The city intends to sell the lots it doesn’t need for the access road. The state doesn’t want the city using grant money to buy the land then turn around and sell it at a profit, since the purchase price of the lots is below the assessed value. As City Manager Rick Koch explained, if there is any profit from the sale of the extra lots, the city will be required to return it to the state, where it will go back into the grant and be available for the city to use for other dip-net access and improvement work. “It’s the same grant money that’s been replenished. And we are able to use it for the same purpose that the grant was extended to the city in the first place.” Koch said. Photos by Jenny Neyman, Redoubt Reporter. Mike Baker watches dip-netters at the north beach of the Kenai River on Monday evening, waiting for a sign that the fishing is picking up. The good news is that the bulk of the Kenai River late run of sockeye salmon might finally be making its appearance. The bad news is it’s too late for a lot of fishermen who annually target the third week of July to do their harvesting — as that tends to be when a mass of fish makes a push into the river. “I think I’m just going to head back tonight. If it was better I mighta stayed longer. I’ll maybe try later. A lot of construction, though (on the drive),” said Mike Baker, of Anchorage. Baker was sitting on the cooler he hoped to fill at the north beach of the Kenai River on Monday evening, watching hundreds of his fellow dip-netters standing — and waiting — out in the water. “It’s pretty slow, just kind of hit or miss,” he said. Fish counts underscore that assessment. 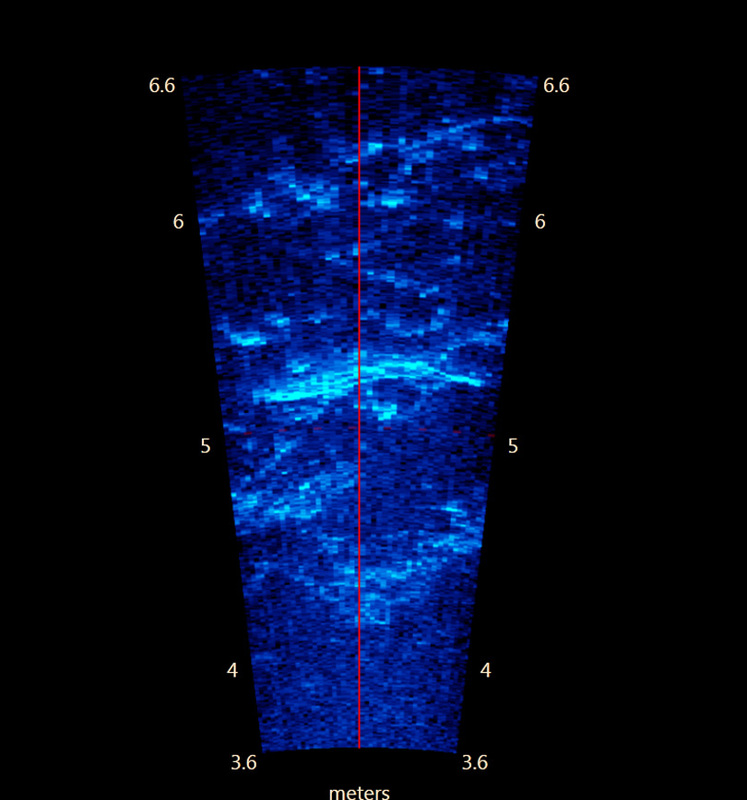 The sockeye sonar counter in the Kenai River posted unimpressive numbers over the weekend — 17,500 fish Friday and 20,000 Sunday. The number jumped a bit Monday to 49,000 fish, but that only brought the cumulative total of late-run Kenai River sockeye to just under 300,000 fish — not nearly as many as would have returned by this point in a more typical run. Photos by Jenny Neyman, Redoubt Reporter. City of Kenai workers were busy last week preparing for the start of the dip-net fishery Friday. The crowds of dip-netters show up overnight, but the services needed to manage them take considerable time, money and planning to put in place. 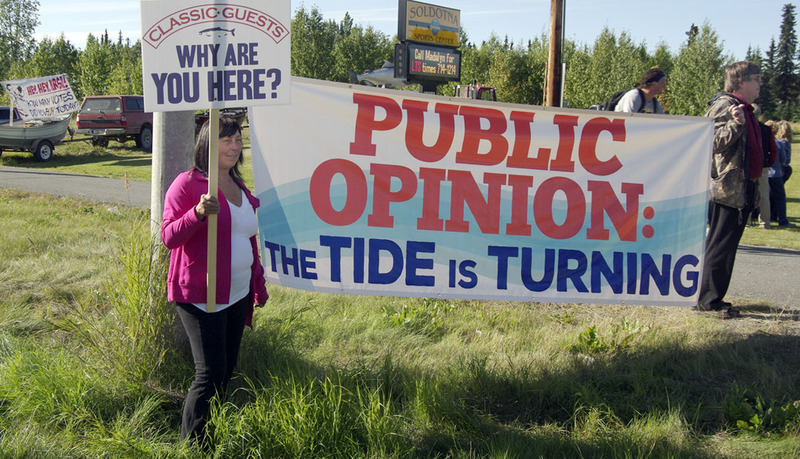 As sockeye salmon return to the Kenai River in July, so, too, do crowds of dip-netters seeking to catch their share. But while the people show up overnight, the fishery doesn’t come together that fast. Prep work begins before the first late-run fish hit the fresh water. Come the 6 a.m. July 10 opening of the Alaska resident dip-net fishery on the Kenai, the place was humming with hundreds of boats, vehicles and people, seeking their share of the tens of thousands of sockeye salmon that pass through the sandy, silty, windy transition of Cook Inlet and the river each day. 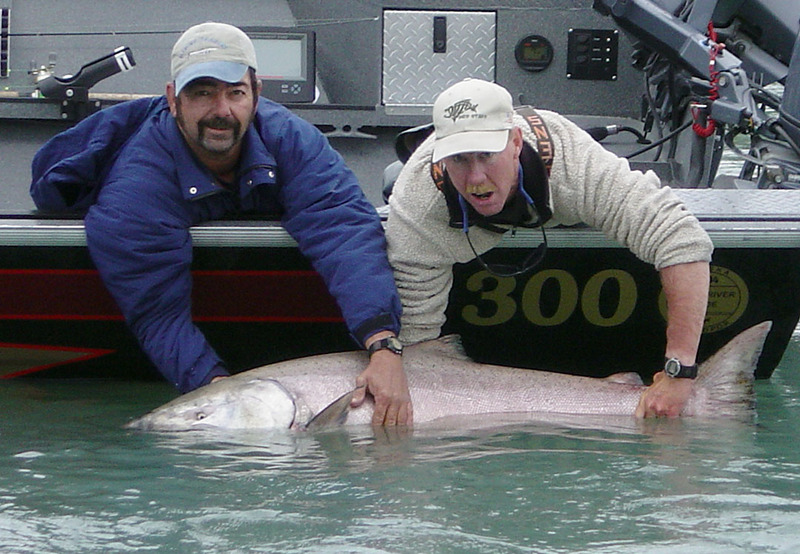 Kenai has the dubious honor of managing the most popular location of the state’s personal-use dip-net fishery. “Things have become significantly more routine as it relates to keeping beaches clean, making sure we have enough portable toilets, Dumpsters, parking spaces are well defined, trying to moving people through — those things over the last five to six years we’ve got handle on, being event people. It’s sort of like Wrigley Field and 40,000 of you and your closest friends show up for a few hours. We’ve become event coordinators, and I think our personnel have done a very good job at undertaking those responsibilities, but every year there’s always something new,” Koch said. Work began far in advance of the Friday opening. On Thursday, the beaches were busy with city workers doing last-minute preparations. “Restroom cleaning, putting up fence to keep people off the dunes, picking up trash, cleaning up, whatever needs doing,” said Larry Hull, with the Kenai Parks and Rec Department.